Not for profit organisations in Cheshire West with a social conscience are being supported by the Council because they change the lives of vulnerable members of our community. People with learning difficulties, those who wish to build confidence in the workplace or people who need a helping hand to grow their business are being supported by social enterprises such as Changing Lives in Cheshire and Industry Chester Co-Working. Social enterprises are being championed across the country on Social Saturday, 13 October. The Council supports and awards contracts to social enterprises so that they continue to work with and provide opportunities to people in our society who most need help. Councillor Brian Clarke, Cabinet Member for Economic Development and Infrastructure, said: “Cheshire West and Chester Council is enthusiastic about helping the most vulnerable members of our society to improve their personal circumstances. “By supporting social enterprises which offer work opportunities to people who need a boost and by financially backing social enterprises which provide life changing services to families, the Council is helping communities to thrive. 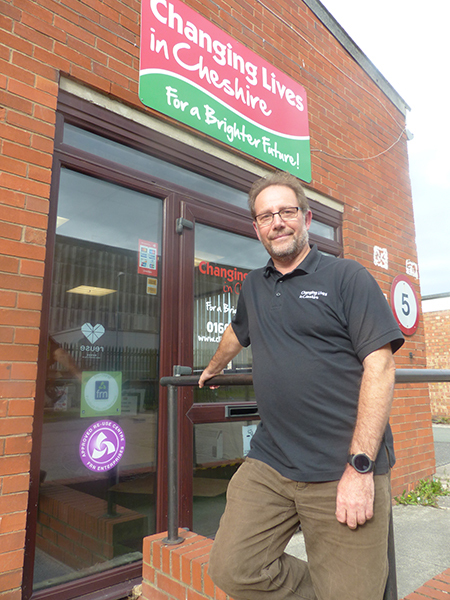 Gary Cliffe runs Changing Lives in Cheshire, based in Winsford. It collects furniture and household goods from the public, household waste recycling centres, and by running the Council’s bulky waste service. It then gives opportunities to vulnerable people to build their confidence by offering them work upgrading the items which are sold back to the community at a cheaper price. 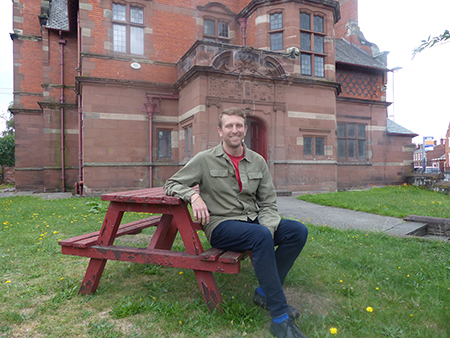 Gary said: “I really have a passion for giving people opportunities and it is the furniture which enables us to do that. We need to collect it, upcycle it, clean it, refurbish and repair it. This is done by around 30 full time staff but at any one time we have got around 70 people who are in all sorts of difficulties in life who work with us. “We work with long term unemployed, ex offenders, people with mental health, physical and sensory difficulties difficulties. Over the year we look after and support around 200 individuals. We are providing them with opportunities to move forward in life. It may be somebody who has been out of work for a long time. They have nothing on their CV, no experience and are probably lacking confidence. “We also provide furniture and household items to families in crisis through a contract with Cheshire West, people can apply to the local authority for help and the local authority then assesses their need. It maybe someone in a domestic abuse situation and they have got nowhere to live and have got no furniture. We are looking after six families a day in crisis. Also receiving Council support is Industry Chester Co-working which offers a different work space for Chester’s flexible and diverse workforce of entrepreneurs, freelances and the self employed, who might normally find themselves working out of coffee shops or at home. The business is run by designers Andrew Davey and Rhys Harry who have brought life back into an old youth club in Handbridge, Chester, by converting it into a not-for-profit co-working business. It offers desk space with high-speed internet in a friendly, collaborative atmosphere, accommodating people that need an odd day, part-time or full-time use. Visit industrychester.co.uk to book a desk or find out more.